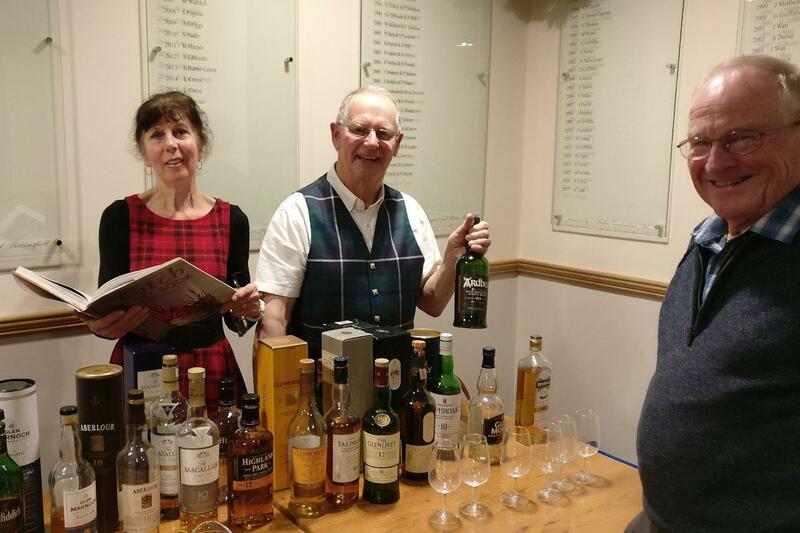 There was a very successful Whisky Tasting evening recently. It was a return visit for John and Maggie Cook, friends of Rotarian David Walker. 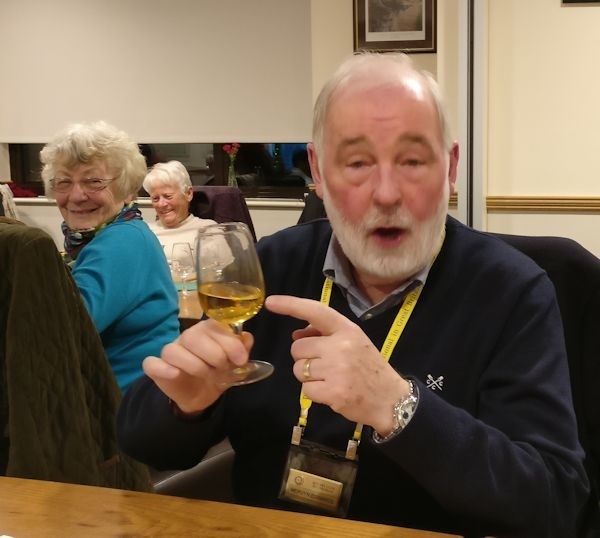 The evening followed a similar format to the previous one, John gave us an excellent presentation of the whisky areas and their distinctive characteristics. He then discussed the whiskies that were on offer, all 14 of them !! He had prepared an excellent spreadsheet with brief descriptions and the prices, which ranged from £17 to over £50. 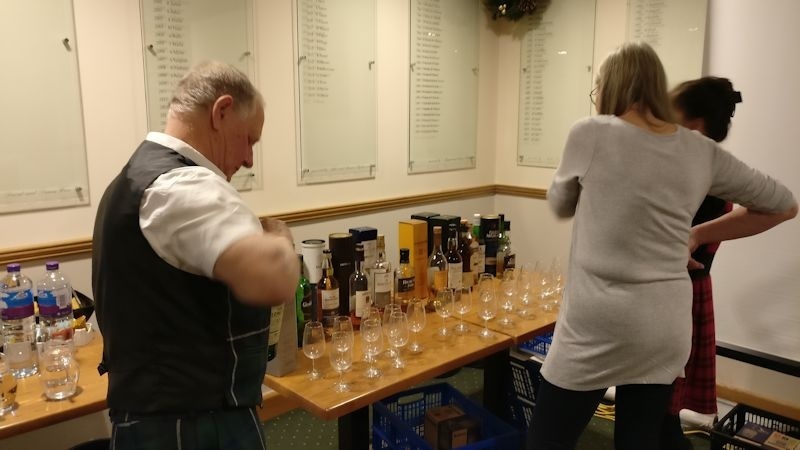 Surprisingly, the value end was in most demand as the Aldi offering and the Bushmills were less well known and Rotarians took the opportunity to see if they were worth adding to their shopping trolleys. 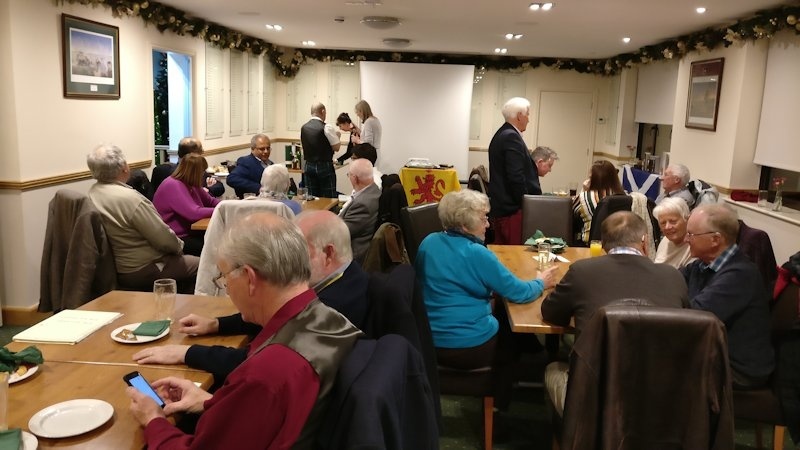 John and Maggie were delighted with the warm reception they received and sent a very warm thank you email which was shared with Club. They also noted the comment, "don't leave it another four years before you come back to see us again".